Every so often I have to dedicate an entire post to one item from Fancy Fine Vintage because it's that good. 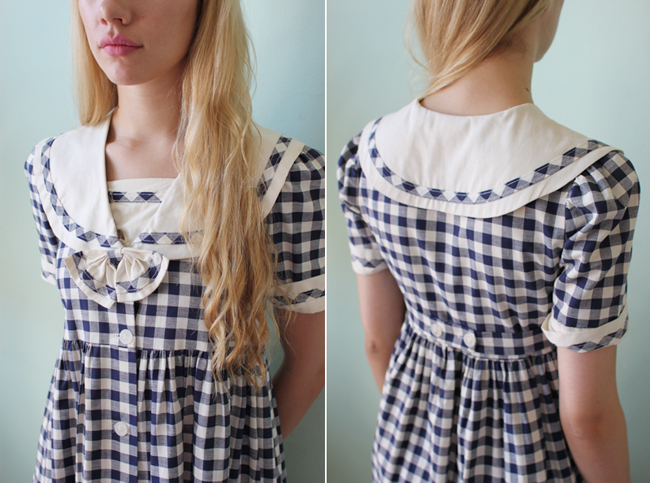 This heartbreakingly adorable number is one of my favorite finds so far. 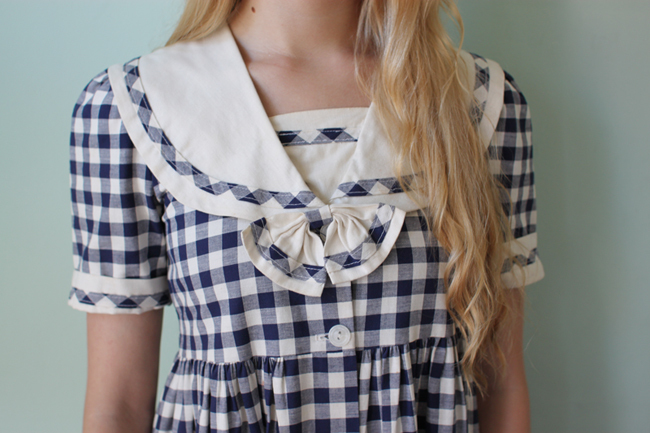 Made of a soft navy blue and white gingham cotton with the sweetest oversized Peter Pan collar and a large bow right in the center. I desperately wanted to keep this dress for myself (greedy!) but sadly it just flattened my chest. That means some lucky, small-busted lady can give it a new home! You can see the Etsy listing here. 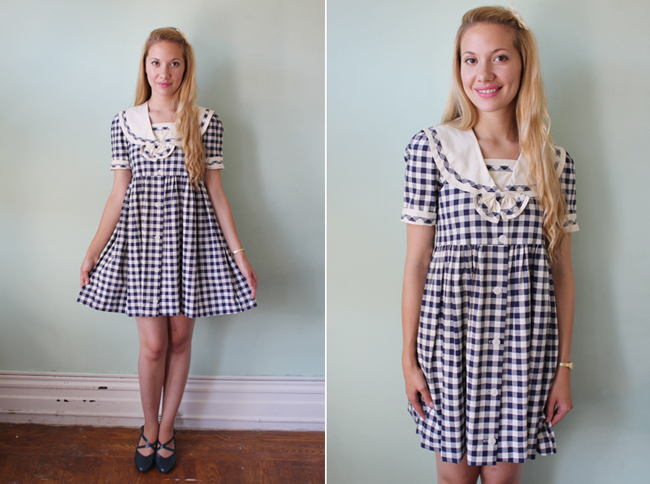 This dress is so sweet (like the lolly), it's almost an Alice in Wonderland type of dress. This is very pretty ! The perfect dress to do a post on ! What a nice young girl ! It's georgeous, I love it ! This is pretty sweet... how can u let go of it?! God this girl is pretty..